Seminole Community Library, 9200 113th Street N.
Free event! 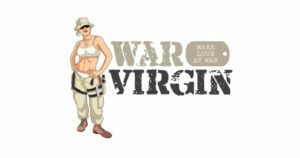 Come listen to the War Virgin read excerpts from her memoir and talk about how she became an author. There may even be a little entertaining surprise! Books will be available to purchase at the event, and they're available 24/7 on Amazon.com. 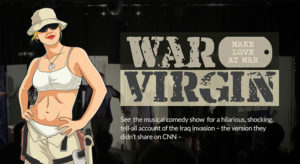 Veterans Art Center Tampa Bay located in Gas Light Square, 6798 Crosswinds Drive N.
Come watch War Virgin perform a one woman show at the Veterans Art Center Grand Opening. Hear excerpts from her musical comedy show, including 7 songs! The event is free and open to the general public.